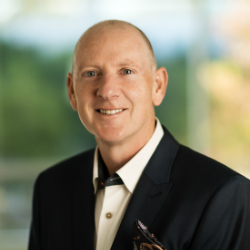 US biopharmaceutical company Acadia Pharmaceuticals has appointed Damien McDevitt (pictured) as senior vice president of corporate development. He joins the San Diego-based firm from GlaxoSmithKline, where he spent more than two decades, most recently serving as VP, head of business development for R&D extended therapy areas and head of its R&D West Coast Satellite. Prior to that, McDevitt held positions with increasing responsibility within worldwide business development at GSK Ventures and Anti-Infectives Discovery. At Acadia, which focuses on the development and commercialisation of medicines for central nervous system (CNS) disorders, McDevitt will report to the company’s president and chief executive officer Steve Davis. Meanwhile, Acadia’s SVP, technology development and operations Jim Nash will retire in January. The company’s former SVP, strategy and business development Bob Mischler will assume responsibilities for technology development and operations in addition to continuing his strategy responsibilities in the new role of SVP, strategy and technology operations.